This product launched last year and I recall being really intrigued by it, but alas I never got around to trying it. Until Summer suddenly arrived in Dublin and I realised pale, corned beef skin was not a good look for me. This product gets mixed reviews online, but I saw some really impressive before and after photos that convinced me I needed to try this. So I forked out €19.99 for the St Tropez In-Shower Gradual Tan and hoped for an overnight miracle. In theory, it sounds like a bizarre idea, an in-shower tan? Baffling! Set within Stortfold, England, a village divided by class, Me Before You tells the story of Lou Clark. A whimsical, lovable character who loses her café job, Lou is thrust out of her comfort zone into a world of uncertainty and new beginnings. Lou becomes an employee to the wealthy and respected Traynor family as a carer for their son Will. Will Traynor’s life as a successful London professional change forever when he was involved in an accident with a motorcycle, leaving him as a quadriplegic. With no previous qualification or experience, Lou begins caring for Will. Will is a sarcastic, strong-willed character who plays the ‘victim’ card well, making him seem cold, aloof and sometimes angry. Their working relationship brings Will and Lou to unexpectedly discover a whole new side of life and living. Starting her career as a journalist, Moyes made the transition to full-time novelist in 2002. 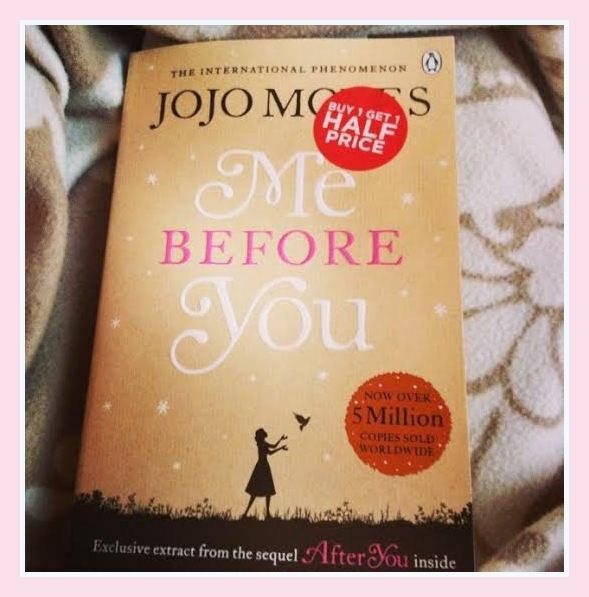 Turning out a steady stream of addictive and engaging novels, bursting with dynamic characters told through a manner of storytelling that Jojo Moyes is known for. If you enjoy reading romantic fiction or ‘chick-lit’ as it is often unfavourably labelled, you would be forgiven for judging this book by its cover. While essentially there is an element of romance within the pages of Me Before You that Moyes touches on without letting consume the entire body of the novel, this story is so much more than your average boy meets girl story. Moyes allows the reader and characters within the book to be made aware of Will’s plans for his future, however she avoids the story taking an overtly maudlin or morbid tone. The colourful character of Lou, her entertaining family and the dynamic and fiery relationship between Will and Lou, keeps Me Before You moving along at a comfortable, witty and entertaining pace for the reader. The author dispels any myth to readers that disabled individuals cannot lead and enjoy an active and fulfilling life. Moyes brings the story to what may be regarded as an unexpected close, an unconventional ending to what is a beautifully told, new and engaging story of love, loss, living and self-discovery. Me Before You has sold over five million copies worldwide and is currently being adapted into a major motion. The story will undoubtedly leave the reader pondering what happens next for the characters, thankfully Moyes has solved our problems with the aptly named sequel After You. Me Before You has just been made into a major motion picture and hits cinemas on 3rd of June. A couple of months ago, I got caught up in the hype on Twitter over a beauty box collaboration between UK-based subscription box company Glossybox and the massive make up empire that is NARS. When my fabulous sister asked me if there was anything in particular I would like for Christmas, I immediately thought of these bathing gems that I spotted at a Laura Mercier counter a few weeks previous. Realistically, I would most likely never buy them for myself. Behold, a luxurious and perfect Christmas gift! This Sweet Temptations Crème Brulee Duet from Laura Mercier contains a 200ml Soufflé Body Créme and a 200ml Honey Bath, along with a ‘honey dipper’ to swirl into your bath water. These are to die for! Inspired by the aroma of a French patisserie (I know! 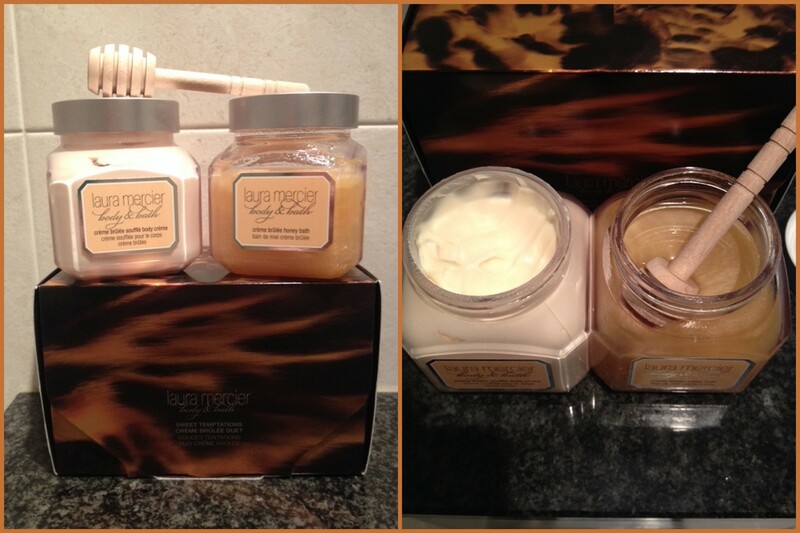 ), the Honey Bath and Soufflé Body Créme formulas include notes of warm caramel,spun sugar and French vanilla bean, making this a luxurious and delicious bathing experience. While each 200ml pot of these luxurious potions look small at first, a little goes a long way, they will most certainly last for many soaks to come. If you love sugary, vanilla and caramel scents, then these are most certainly for you. After use my skin feels soft and clean, I smell like a dessert and feel like a goddess. Laura Mercier products are available from Brown Thomas, Space NK and Harvey Nichols stores. Recently I cackled my cockles off watching the gals over at Lovely Girlie Bits vlogging about what they recommend purchasing with those No7 vouchers you get in Boots every other week. Fair play to Boots and No7, those vouchers come up so regularly, if you were an avid No7 user you would be set for a lifetime of affordable beauty treats. I am one of the million people who are guilty of throwing the vouchers into my bag and forgetting about them, or sometimes just not knowing why to redeem them against! For anyone not familiar, the infamous N07 vouchers come in two parts, €6.50 off No7 skin care and €4 off No7 make-up. It comes in a 30ml plastic bottle with a pump, that boasts the simple and classic No7 packaging that the brand is known for. The product itself once dispensed is a thin, white liquid that turns clear once massaged into skin. It is silky and has that lovely clean cosmetic smell that you would associate with other No7 products. A non greasy formula that is absorbed beautifully and super quickly into skin, this is a dream to use on freshly cleansed skin at the end of a long day! So the big question is, did it deliver? I can’t say I woke up with overwhelmingly radiant skin. Between panda eyes, pillow marks on my face and hair that resembles a nest, it’s a regular occurence that I look like ‘the wild woman from Borneo’ first thing in the morning and this product ain’t promising to work miracles! That said, I do find my skin looks more even and plump upon waking after using this product. Where I do see the radiance is during the day. After washing my face and applying make-up, I’m pretty happy with how my skin is looking after using this product recently. I would certainly recommend it as a lovely skin boost and would be happy to re-purchase. 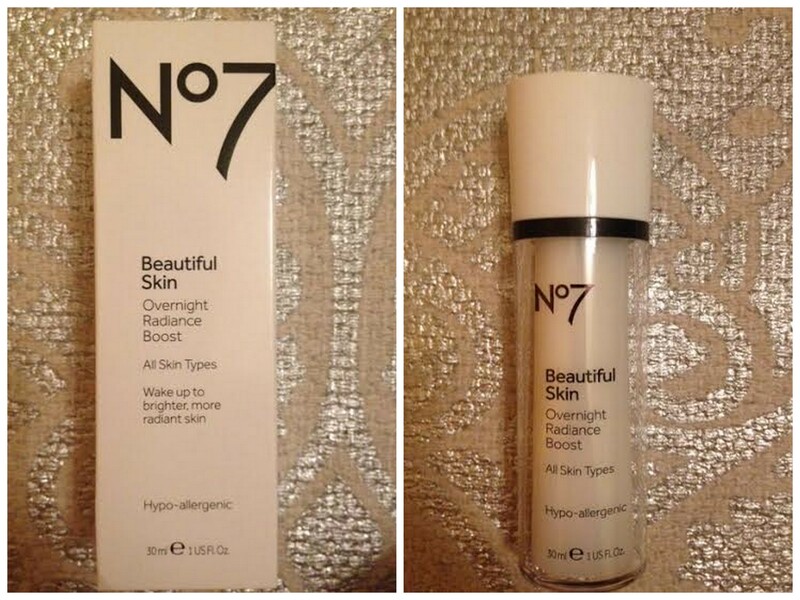 The No7 Beautiful Skin Overnight Radiance Boost will set you back €19.50 usually, with my €6.50 voucher I only forked out €13.00 for this lovely skin treat. Not sure I’d pay the regular price for it, but the vouchers come up so regularly, I would expect that I would rarely have to! It’s available from Boots online and in store. So next time you find yourself with a No7 voucher or just fancy a little skin treat, this is definitely one to try! Anyone else have a girl crush on Blake Lively? I just love everything about that gal’s look. The glamorous gowns, the beachy waves, the pared back make up looks; her look is always on point! She’s most certainly my girl crush! Ashamed to say I’ve only ever seen one episode of Gossip Girl, I might make it my ‘thing’ to watch this autumn/winter. 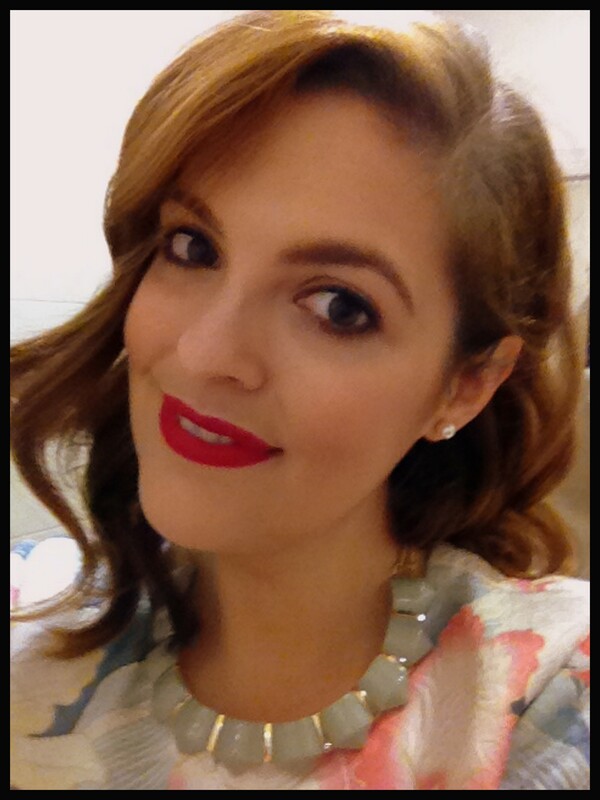 I recently purchased one of the L’oreal Colour Riche lipsticks from their Exclusive Reds range. L’oreal have teamed up with a bevvy of high-flying female beauties such as Blake Lively, Julianne Moore and Eva Longoria, to come up with a range of red toned lip shades to suit all complexions. Me being obsessed with Blake Lively didn’t even bother investigating which was suited to my colouring, I just knew I wanted the shade Blake’s Pure Red. In hopes it magically transformed me into the Hollywood starlet (it didn’t by the way). It is however, very nearly THE perfect shade of red in my opinion! These lipsticks are “Enriched with velvet spheres, pure pigments and jojoba oils, lips feel more hydrated after applying”. I can’t say I found this lipstick particularly hydrating, but I did find the formula a little drying after about five hours of wear. I absolutely HATE lip products that go flakey and crumbly, there is just no point in them at all! To minimize any of that, it’s vital that lips are in tip-top condition prior to applying a bold colour lipstick. A lip exfoliator and good lip balm are your friends, particularly now that Autumn is in full swing and Winter is on the horizon. To apply this lipstick, I first added a light layer of lip balm. I then lined my lips, applied and blotted. Applied another coat of lippy and blotted once more. One great thing about this L’oreal lipstick is that it has really excellent lasting power in that it almost leaves a stain. The BEST thing about this though, is simply the colour; the beautiful, classic rouge shade that screams ‘HOLLYWOOD GLAMOUR’. These are priced at around €10.49 from Boots and all L’oreal stockists, with a shade to suit every skin tone. 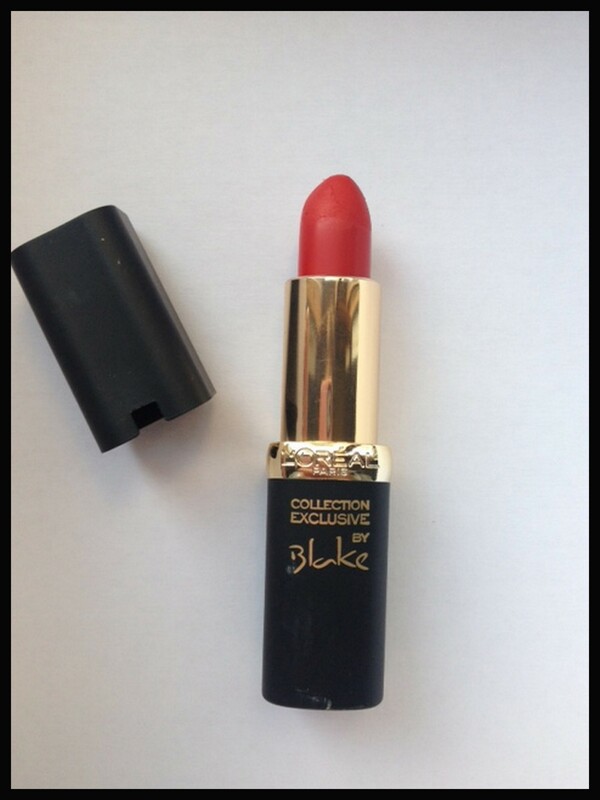 Well worth the price for the perfect shade of red for your make-up kit!